Ten years ago, Samantha Allen was a suit-and-tie-wearing Mormon missionary. Now she's a senior Daily Beast reporter happily married to another woman. A lot in her life has changed, but what hasn't changed is her deep love of Red State America, and of queer people who stay in so-called "flyover country" rather than moving to the liberal coasts. In Real Queer America, Allen takes us on a cross-country road-trip stretching all the way from Provo, Utah to the Rio Grande Valley to the Bible Belt to the Deep South. Her motto for the trip: "Something gay every day." 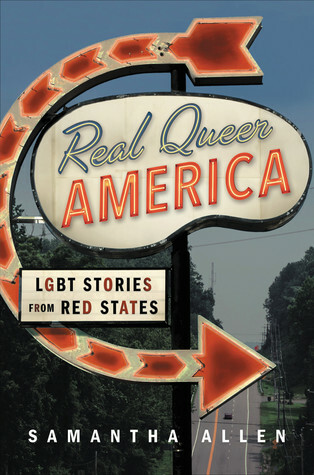 Making pit stops at drag shows, political rallies, and hubs of queer life across the heartland, she introduces us to scores of extraordinary LGBT people working for change, from the first openly transgender mayor in Texas history to the manager of the only queer night club in Bloomington, Indiana, and many more.